Snoring is very common in the human world. It would never be odd or out of place to hear a wife complaining about her husband’s snoring keeping her up all night – then to hear her husband complain back right back that his wife snores equally loud! Snoring isn’t just an adult-limited thing either: my experience bunking with other 10 and 11 year olds at camp proved this to me years back- you’d be surprised how loud some kids can snore! But what about cats? Have you ever wondered whether those cute little furballs in your home could snore up a storm? What would cat snores even sound like? Would cats snore loudly, like some humans do? Or quietly? Would you even notice a kitty snore? Ever suspected your own little cat at home to be snoring.. if only you knew if it was possible and how you could identify a kitty snore? Ever wondered, if a cat did snore, whether it would be normal or maybe some kind of symptom of a health problem? All this and more is what we’ll delve into today! Can Cats Snore They? Do They? Cats, as a matter of fact, can indeed snore. Some cats snore, while some do not. Cats that snore don’t typically snore all the time, so while you may not think your cat has ever snored in his or her life, it’s possible he or she has. 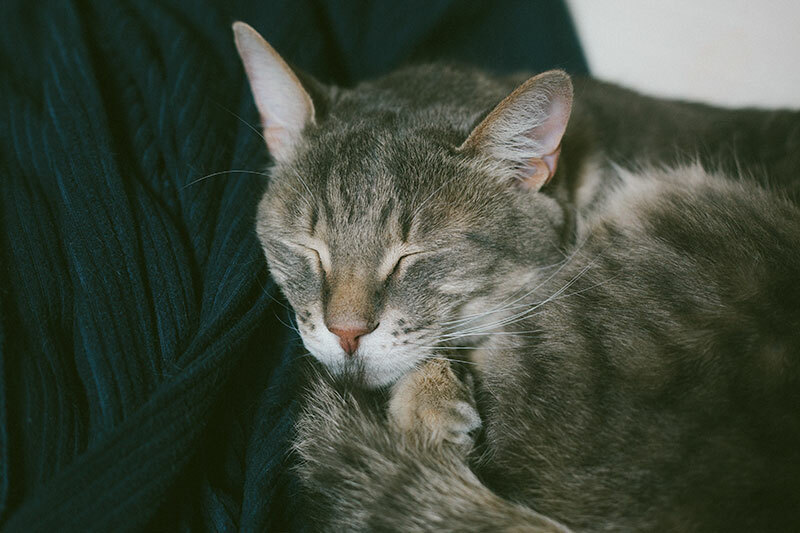 Either way, it’s completely in the realm of possibility that your cat snores; so if you heard a cute little noise that wasn’t just a purr come out of your feline while he or she was snoozing beside you – you are quite right to think it may just have been a teeny tiny cat snore! It really depends on the type of snoring your cat has going on. 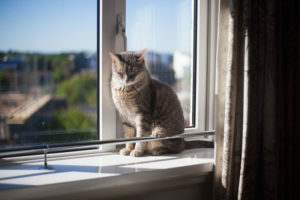 Some cat snoring is perfectly normal, while other snoring, or snoring coupled with other symptoms, can be a tell-tale sign that something is awry with your cat’s health. We’ll get into more into the nitty-gritty of how to tell whether your specific cat’s snores are normal or whether they’re symptoms of a sick or unhealthy cat in the remainder of this article. For the time being, rest assured, many cats perfectly healthy cats sometimes snore away in their sleep (my own cat, Avery, included!). Snoring happens in cats for the same reason it happens in humans. Why’s that exactly? Snores occur when the upper airways (the nose, the pharynx or back of the mouth, and the throat) are somewhat blocked; as a result of the blockage, the tissues of the upper airways vibrate along with breaths taken in and out, creating the sounds we call snores. If humans sleep a certain way, like on our backs, we block our own airways a little in our sleep; same happens when cats sleep in certain ways. Specific posture alone can cause snoring. As humans reach beyond middle age, their throats get narrower, which contributes to increased snoring; I’m guessing this sometimes happens with older cats, too. Not sure if this is completely applicable to cats, but in humans, woman are more likely to snore because their throats are narrower than men’s throats. Narrower throats mean an increased likeliness of snoring, so if this is true of cats, too, and female cats have narrower throats than male cats, this is a possible factor increasing the likelihood of a female cat snoring. 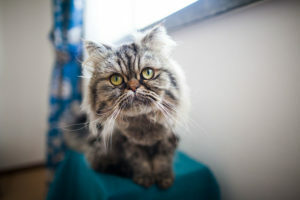 Persians and other short-nosed cats have a lot less wiggle room with breathing airways than other cats; this may contribute to increased snoring. A foreign object like a blade of grass lodged in an airway passage may be the culprit leading a cat to snore. A runny or stuffy nose can definitely lead to snoring. 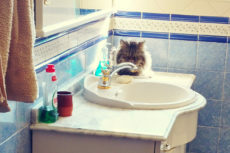 Obviously, if your cat is sick, he or she should be taken to a vet so this can be cleared up. Sinus congestion could be the result of viral, bacterial, or fungal infection. 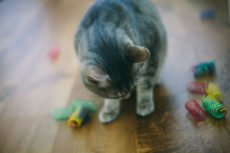 Fungal infections are rare, but serious nonetheless; so please don’t assume your cat needs no help and will get better on his or her own, even if your cat only appears to have the sniffles. If you see symptoms of a sinus infection (runny or stuffy nose) take your cat to a vet to double check everything’s A-OK! Too much extra weight, or being overweight can lead to fatty tissue build up in the airways. If you think your cat is overweight and that’s led to increased snoring, it’s wise to start your cat up on a diet. Hate saying no to giving away treats at all times of the day? You don’t have to! Just use this trick and you can feed your cat as many times a day as you want to! Weight loss guaranteed. 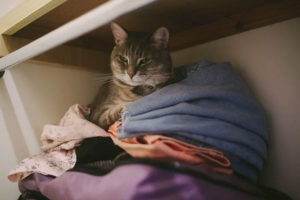 Obviously, these are rarely the reason behind cat snoring, but it is possible that a tumor is creating the airway blockage, so it had to be listed. My Cat Snores. How Can I Tell If It’s Sick? 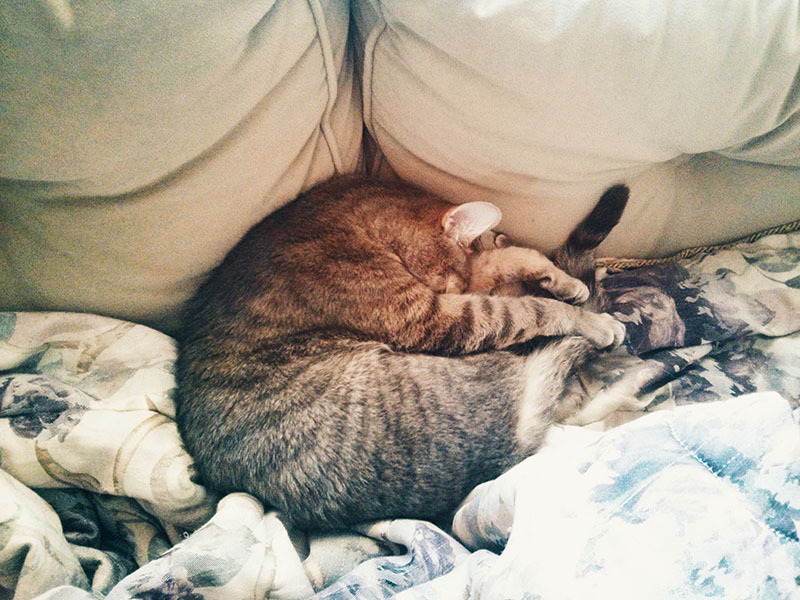 Your cat only snores while sleeping. Your cat’s snores are light. Snoring is consistent. 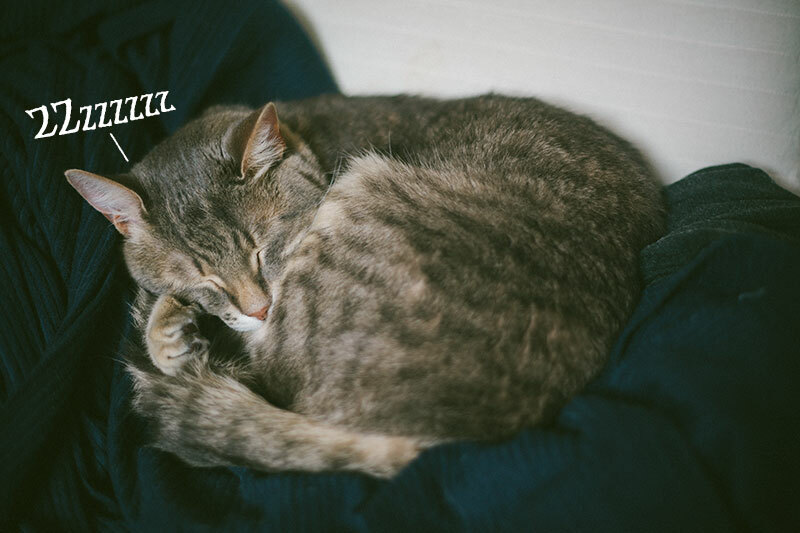 Your cat’s snores don’t ebb and flow, getting a lot more harsh and loud, then very light at different times. Your cat doesn’t seem to be struggling to breathe while snoring. 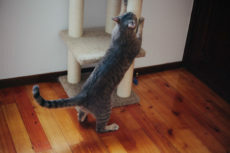 Your cat has no other symptoms of illness (change in appetite, coughing, sneezing, wheezing, etc.). 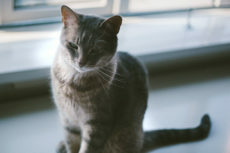 Please, please, please – if your cat has any of these symptoms, go see a vet. Your cat sometimes wheezes while snoring. Your cat sometimes snores while awake. Your cat’s snores are sometimes heavy and loud. Snoring is inconsistent; it’s loud sometimes, quiet others. Your cat seems to be struggling with breathing while snoring at times. Your cat is sneezing or coughing on top of snoring. Your cat has had a change of appetite (eats more or less than before) coupled with the snoring. Your cat has any other symptoms of illness not listed here in addition to snoring. Again, if you suspect your cat is sick after reading this list, please take the time to visit a vet and tell him or her what’s wrong. Your cat may have nothing serious, but the only way to determine that is to go see a vet and have kitty checked out. Don’t get me wrong, you shouldn’t assume your cat has any of the worst offenders on the “Reasons Cats Snore” list. It’s easy to over-worry, but keep in mind that it’s statistically unlikely your cat has cancer or a fungal infection just because he or she snores. 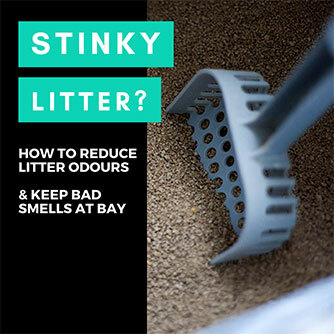 There are plenty of other, more common explanation for this behaviour, such as something being lodged in kitty’s nose, or an easily-curable-with-antibiotics viral infection. 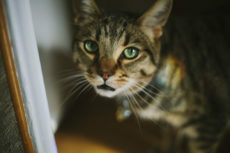 It’s important to find out as soon as you can what’s wrong so your vet can patch your kitty up to perfect health, but in the meantime, while it may be hard, try not to assume your cat has the worst offenders on the potential causes of snoring list. Have You Ever Had a Snoring Cat on Your Hands? I for one have a sometimes-snorer. It’ll happen very infrequently, but my Avery will sometimes snore in his sleep. His are soft, teeny tiny snores that go along rhythmically with his purrs. They’ll happen for short bursts of time, up to a few minutes at most, because if he moves an inch, they’re gone like the wind. Unfortunately, I’ve yet to get my husband to hear these cute little sounds since they’re rare occurrences. One of these days, I hope to catch Avery in the act with a mic in hand, so I can record those ridiculously adorable vibrations. Have you ever had a snoring cat on your hands? How would you describe what the snores sounded like? How often did that particular cat snore? 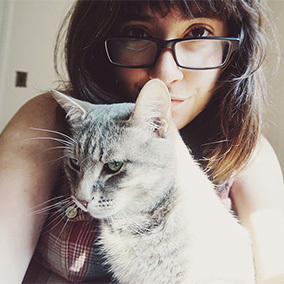 Ever been able to tell a cat was sick through using snoring and something else as a symptom? How did the situation turn out? Ended up here to double check whether cat snoring could be a symptom of an illness, and after reading the “How Can I Tell If My Cat Is Sick?” section, now think your cat may be a sick snorer? Wishing you the absolute best of luck at the vet’s; please do let us know how things turn out in the comments! I can definitely see how it’d be distracting! Sometimes I have to do a double take because I can’t figure out what the sound is for a moment before I realize Avery’s snoring! Happened this morning actually. Odd how some cats snore all the time while others will snore very infrequently. 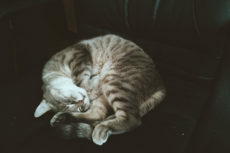 So cute.. <3 Love cat snores so much, would love to have heard him sleep. Angel will make the cutest little snoring noises when she’s got her head tucked up; I’ve recorded the noise many times on my phone. 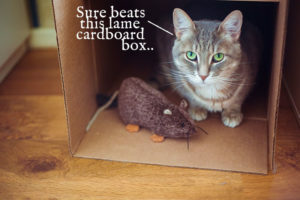 I remember an early episode of Ghosthunters TV show, where they heard a wheezing noise while staking out a haunted house, and it turned out to be the cat! I still laugh when I remember the looks on the guys faces when they figured it out…LOL! That’s way too sweet 🙂 Nice job recording it on your phone! And lol!! Never seen that episode before! Will do my best to find it because that sounds hilarious! !